The newest system of Apple, Mac OS X 10.11 El Capitan is already generating a lot of interest online. There are a few additions and upgrades that this new OS upgrade will bring to users. But there are some new issues such as "can't convert video on El Capitan", to solve the problem, here we introduce you the top 5 most trustworthy video converter softwares that is fully compatible with the new OS X 10.11 El Capitan. In this article, we've picked up the top-rated Mac Video Converter with their features, easiness, speed, video quality and price all considered, giving its pros and cons so that you can trackle all your video files on Mac OS X El Capitan with end result you definitely satisfy. So now that we know that it is very essential in today's digital era to have the convenience of easily converting videos from one format to another, the problem then arises as to what the solution exactly is. 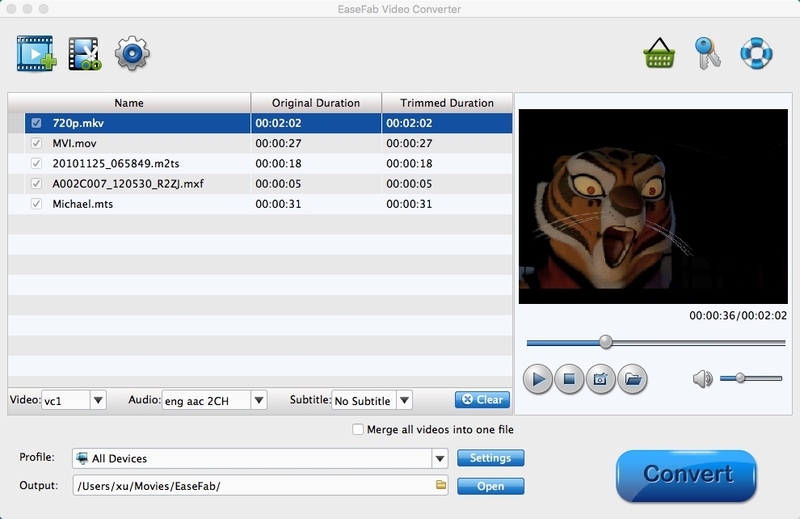 EaseFab Video Converter for Mac OS X (including Mac OS X 10.14 macOS Mojave, 10.13. 10.12, 10.11, 10.10, 10.9, 10.8, 10.7, 10.6) is the answer to all your video related problems. In addition to converting common SD videos, it has also other features that users can enjoy, such as allowing users to convert HD videos and 4K contents, as well. The program supports a variety of video formats, including AVI, M4V, MKV, VOB, WMV, XAVC, MXF and MTS. This program allows users to convert videos to such formats that can therefore be edited with specific video editor programs. EaseFab Video Converter for Mac is easy to use, as there are only a few simple steps to follow for converting videos with it. Import videos first and select the desired output format for your converted video. After that, you can start the conversion process which will be finished in a few minutes. HandBrake is a free Mac video converter that is quick in converting and comes with a bit rate calculator that will alter video quality in order to adjust the video size to your desire. It is a video converter that has many options which will enable you to convert numerous files of various sizes without any compromise in quality. You can convert only MP4 and MKV formats on Mac OS X 10.11, and transcodes videos to be played on devices such as iPhone, iPod and iPad. Handbrake is a rather disappointing video converting software when it comes to use on Mac El Capitan for video converting. It allows users to convert numerous files of various sizes. It converts files without any compromise in quality. Unfortunately, this video converter doesn't support as many different formats as the previous one. 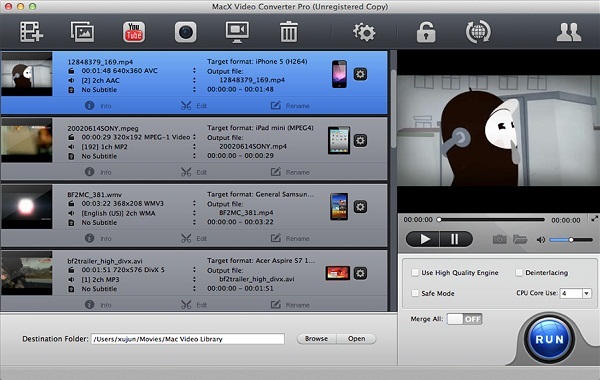 MacX Video Converter Pro is an easy to understand and simple video converter for all different types of Mac computers. 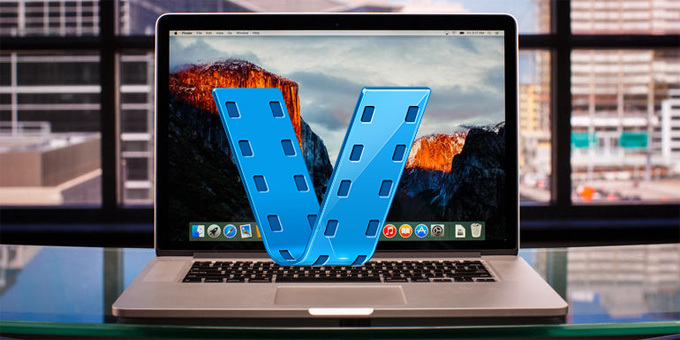 With this video converter, you can convert AVI in MOV, FLV in MP4, MKV in AVI, MTS in MPEG, and much more because it enables the changing of various formats to different ones on Mac OS X El Capitan. It makes no difference if it is HD or SD video. Another good trait of this video converter is that it can download videos from different sources, such as YouTube, Vimeo, Facebook, Instagram, Dailymotion, Metacafe, and Vevo, as well as from any other of over three hundred different sites that share videos. After you download a video on your Mac computer, you can optimize it to any iOS device, such as your iPhone 6,iPad Pro, iPad Mini 3/Air 2, and iPod Touch, as well as some android devices, such as the Samsung Galaxy Note, Kindle Fire HD, etc. It is at a promotional price of $34.95. You can also choose a free trial option to give it a go before you choose a purchase. It has an inbuilt Multi-core CPU and great threading mechanics. It keeps the quality of converted video no matter at what speed you convert the file or what output quality you have. It has a simple and smooth interface. It is easy even for complete beginners to use. It has a minimal number of options. Free Video Converter for Mac is very similar to the previously described MacX Video Converter Pro. It enables various video conversion modes, allowing you to convert many different video formats on Mac OS X El Capital so you can view them on your Apple iPhone, iPod, or iPad, as well as some Android devices. The only negative side is the decreased quality of converted file, which due to conversion loses its crisp quality, as well as its slow converting speed. However, it is nevertheless worth a try thanks to its advanced technical abilities. This video converter comes free of charge. It supports various video conversion modes. Many different video formats are supported. Quality of converted file will be decreased. 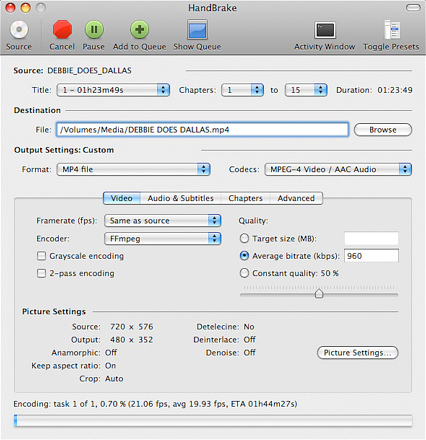 The MPEG Streamclip Video Converter for Mac has great technical abilities and swift converting speed thanks to the advanced technology it uses. This video converter allows you to convert the majority of video files, including MOV, MP4, WMV AVI, and 3GP, along with many others for viewing on your Mac OS X El Capitan. It is very effective, and thus we can neglect its somewhat complicated interface. After you convert video files, you can enjoy them on your Mac computer or Apple device as well as some Android devices. It is free to download. The converting speed is high. A good number of formats are supported. The interface is a bit complicated.